At The Crossings this past Sunday we started a new series called Discovering Authentic Church. I love the Church and so do many of you. But I also know that some of you really don’t resonate with the whole idea of Church. Some of you have been burnt or jaded because of something someone did while wearing the name Christian. Others have experienced things in the name of Church that don’t feel too much like Jesus. I get that. 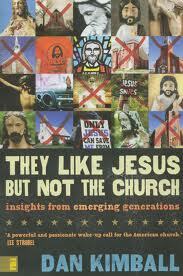 It reminds me of a book that Dan Kimball wrote in 2007 entitled They Like Jesus, but not The Church. I’ve met Dan before and have heard him speak, so I know where he’s at on the issue. He loves Jesus and the true Church. He just points out that a lot of folks have simply been presented with a counterfeit model of the Church. I get that and have probably felt some of that pain in my own pilgrimage. I know I have. But my hope is that in this study we can see a picture of what the authentic Church really looks like. I hope we can clean up the mess of misunderstanding. The true CHURCH is seen in scripture as a beautiful creation of God. She is loved by God. No, the Church is not perfect, at least not now. That’s because it’s made up of imperfect people. But she is still the “Bride of Christ.” Because of that significance, I hope everyone can take a second look at this mystery called the Church. As we continue through this series I hope you’ll ask questions and open up to what it means to experience Authentic Church. Yes, I love the Church and hope you will too. What are some of your stories of experiencing the counterfeit? What are some of your stories of finding the authentic? Have you seen this clip? It was made a couple of years ago. But I came across it again the other day while researching a church planting organization. Though the clip is not new, I believe it’s worth checking out again. Jeff Maguire did a fun job describing the authentic Kingdom life which he refers to as Missional living. The point being that authentic Christ followers are all called to live out the Kingdom of God in their own daily lives. Sharing the message and love of Christ is the call of every Christian and not merely the domain of the decorated. Remember, the CHURCH is not a building; but the people. So whatever your niche in the Kingdom, be sure to be “missional” about it today. 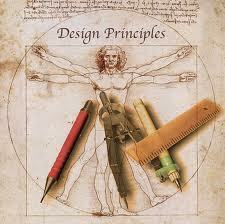 Enjoy and implement! The “Pastor’s Page” follow up! Today we are hearing from our second main author on “Healthy Pastors.” Todd Owen has had a wide verity of ministry experience and can easily speak to the need for spiritual, mental, emotional, and physical health for long term and full-time Christian Service. My partnership in the work with Todd goes back to the early 90s when I think he went by “Spike” at Ozark Christian College. Todd works with New Mission Systems International and also blogs here. So for now, enjoy, comment, and look for more to come. 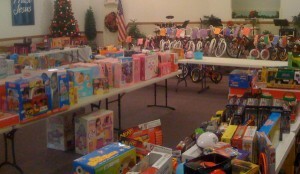 I was blessed to be part of the Crossings “Share Fair” 2010 event this past Saturday. To me it was just another wonderful example of a local body of Christ putting their faith into practice by coming up with creative ways to serve their extended community. The “Fair” was a great success this year as we gathered donations and gifts and networking with a local school, were able to get them into the lives of families in our area who are struggling. A HUGE thanks goes out to Larry Foster who handled the goliath share of the details which made everything come together. I also want say thanks to everyone who helped with the setup, teardown, and serving throughout the day. In all, “Share Fair” was just another reason why you rock Cypress Crossings. So keep up the good work and have a MERRY CHRISTMAS!